Between Pidcock St. and Fowler St. While there is limited street parking available, we recommend that you park at the nearby Secure Parking Station on Grose Street (access of Carillon Ave). Coming Soon: We will offer a valet option Friday through Sunday which we can add to your bill. The valet can also be booked and pre-paid in advance. 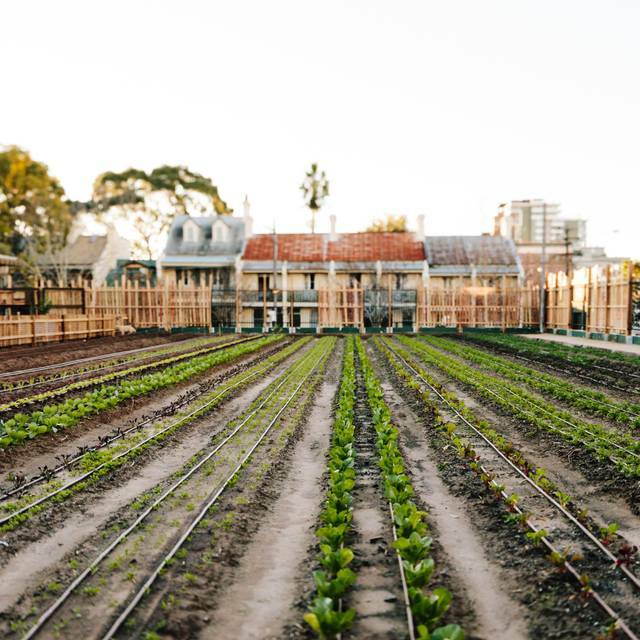 We prioritise sustainable produce from our on-site partner Pocket City Farms with the remainder sourced from a collection of small to medium size farms located within the Sydney basin. Our proteins are sustainably sourced and in the most part, secondary cuts cooked slowly to release flavour. We bring this together on the plate to celebrate the ingredients, in a simple, heartfelt way. Excellent service. The food was fresh and taste good. Impressed with the healthy food option on the kids menu. Child friendly venue. Food options are limited, would have liked more to choose from. That being said the quality of the food was good, and we had the lamb share plate which was great. The kids had fish and chips which was really good and the batter was amazing. With only yes / no as an option, I say yes, but the true answer would be I'm not sure about recommending Acres to a friend. 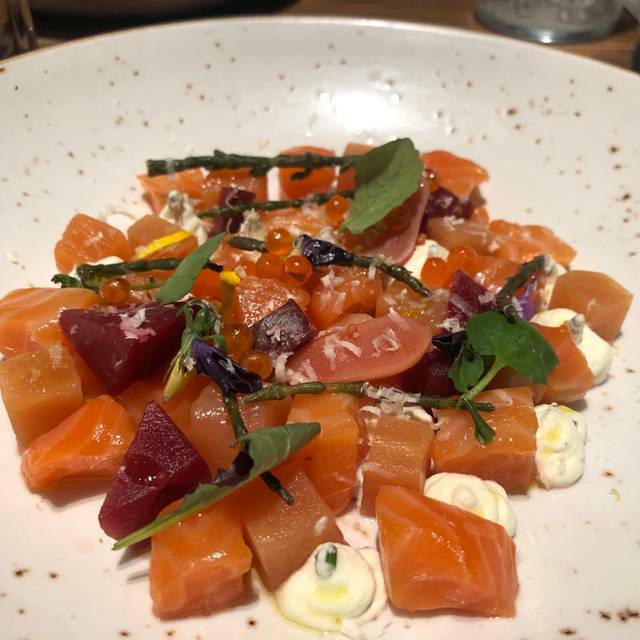 The place is beautiful and the waitress who served us was very nice and was doing her best, but there was not enough staff so we found ourselves waiting for quite a long time before getting any service at all, and the same throughout each stage of the meal. The table was only half set, with some of us not having a fork, some not a knife. The quality of the food was very good, but a number commented on the serving size, and one actually sent hers back. For around $38 she got a really small piece of fish, and if we wanted salad that was an extra $10. The main reason our group may not return, and may not recommend it to others would be lack of value for money. Still it was a very enjoyable night. Thanks. Fantastic food, lovely staff and you can actually speak to the people at your table without shouting! Love this place! 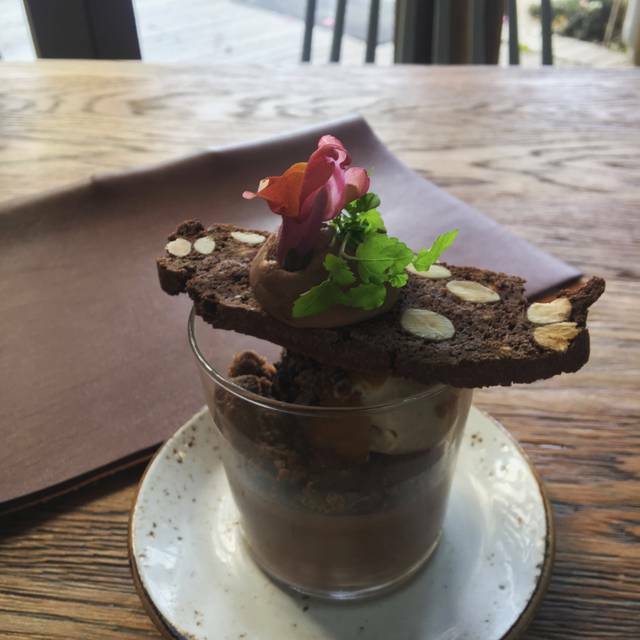 The service, ambiance and food at Acre was fantastic. Our waitress even arranged for a small candle and brownie to be brought to the table for a birthday. Please don't go to this restaurant, as we want it all to ourselves! 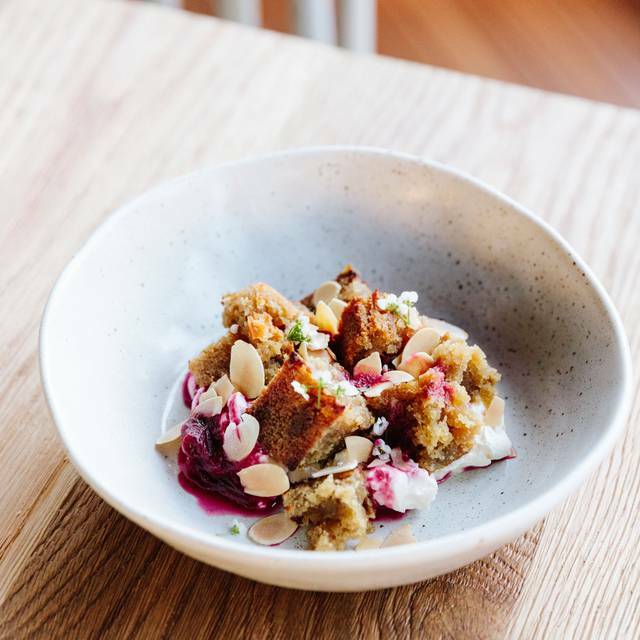 Acre Eatery is a great little escape from the city in the city. 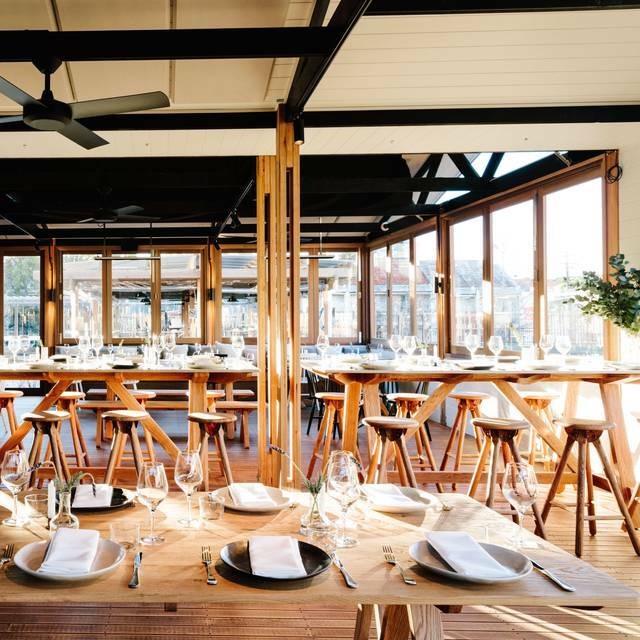 The restaurant is in the middle of its own acreage where they are growing some of the meal - and it has you feeling like you’re in the country. Great food. The ambience and styling of the restaurant is lovely. Was perfect for a Sunday celebration lunch for a family birthday. Food was great and was good value - choice was excellent. We thought the service was also great. Excellent however the fish for 2 was not sufficient, once we spoke to staff and then kitchen they resent another fish order out. This is more a meal for one and not two despite the price. The food was yummy - but cold. We sent our meal back TWICE as it only came out warm. We had lamb shoulder which isn't really a dish you want luke-warm. The service was friendly, but didn't offer us anything for the inconvenience. We had overpriced dips for entree. The restaurant was also freezing - it was a cold night and the space is very open. Overall it was nice, but disappointing. I expected more. Amazing service and excellent food. Our red-headed waitress was exceptional, her knowledge of the menu and accommodation of our many dietary requirements left us all satisfied. Would definitely recommend this place to others and we will be back again. The pork special was a hit with everyone especially the 4 year old. Thank you! The food and ambience was great. I don't however like the practice of putting menus on top of plates. Surely this makes the plate unclean. Very good food that was very nicely presented. Good selection of entrees and mains. Attentive but unobtrusive waitress. Good selection of wines by the glass. Only downside was the young lady at the bar who refused to allow our friends, who arrived early, to sit at the bar and have a drink while they were waiting. No reason was given - they were told they could sit outside or at the table. Why have a bar? The food was cold. And to top it off, the service was very inattentive and almost absent. The screaming kids running around the place like it was a playground made for a very poor ambience. It was my second time there. The first once an amazing experience but I will never set foot in that establishment again. Terrible service and inattentive staff. Main course arrived but starter plates were not cleared. 4 staff were waiting at a service station and I had to stand up and go over to them to ask to clear the plates. I was given a breakfast menu when looking to order desert. Had to stand up and wave to get the waitresses attention to pay the bill. I went to Acre with a group of three friends on a Sunday afternoon. The restaurant was packed but the service was friendly and prompt and the food was incredible! My only negative would be that it was very noisy, in part because it was raining outside so all the windows and doors were closed. 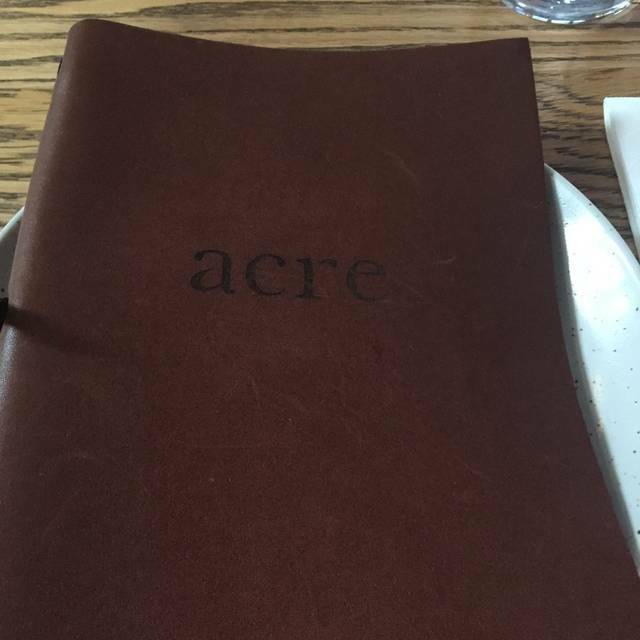 In all, I would definitely recommend Acre and would choose to eat there again. First time I went it was great, this was the second time and a total let down. It has gone downhill. The service was terrible and food was average. The food is excellent with interesting and very tasty dishes on the menu. However on the night we were there the service was very slow, especially with the drinks and with one vegetable dish coming out too late to be eaten with the main meals. We hope to see a sharpening of focus in terms of service on our next visit. We celebrated our daughter’s birthday here and even ordered an acre made cake, it was amazing!!!!! The service was also impeccable. Really enjoyed our meal. 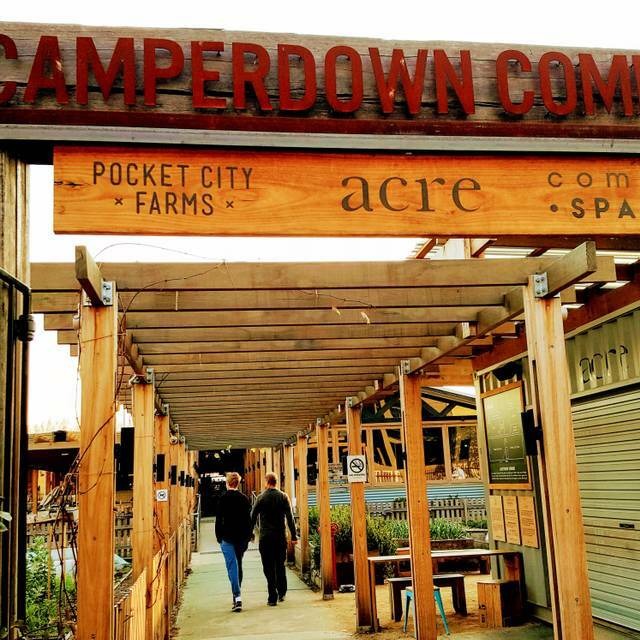 A very kid friendly venue with an outdoor area with a play area and a chicken coup. The food is very good for sharing. Everyone had a good time! We just moved to area from Enmore. Table for 9. Service was exceptional right down to history of restaurant and food; details on suppliers; recommendations and general assistance. The food was “to die for” with extraordinary combinations and flavours and the food was fresh - some from their own garden and you could taste the richness. We are coming again and planning a corporate event there. Noise level was pleasant and ambience brilliant. All of my guests raves on how nice the venue and the food was, the fact that you can also have a birthday cake made for you on the premises is an awesome bonus as well, that too was delicious, fresh organic and topped off our lunch, definitely will be back there on the next special occasion, thank you! We've been to Acre a few times but this is the first time I've been disappointed. There was a wedding on, so I don't know if this was the reason for the extremely poor and slow service. 20 minutes to get a drink ordered taken (apart from the very expensive sparkling water), then another 15 minutes to actually get our drinks - no apology. Food as usual was very good, although my husband thought the steak (at $48) was cold, as opposed to room temperature. It was perfectly cooked though so I was ok with that. Its not a cheap meal by any standards, and normally I'm ok with that because standards have been high, but they let themselves down on Saturday! Would still recommend based on previous experiences but they are on notice! This venue is so poorly managed that it has a ripple effect...You can read my review over on goggle. 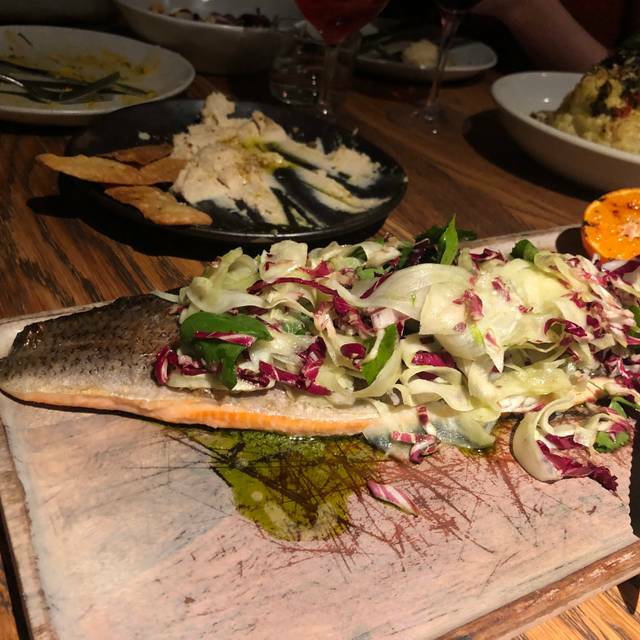 Fabulous food and a fabulous experience! Loved it! Very noisy overall, plus a large group next to us were standing in the common area between tables mingling as if it was a private function. They were crowding so a couple of elbows nearly went in our drinking water, as well as it only added to the noise. Do feel staff could have managed the group just a * little * more. I had seen some posts on Facebook regarding Acre Eatery and my curiosity was peaked. 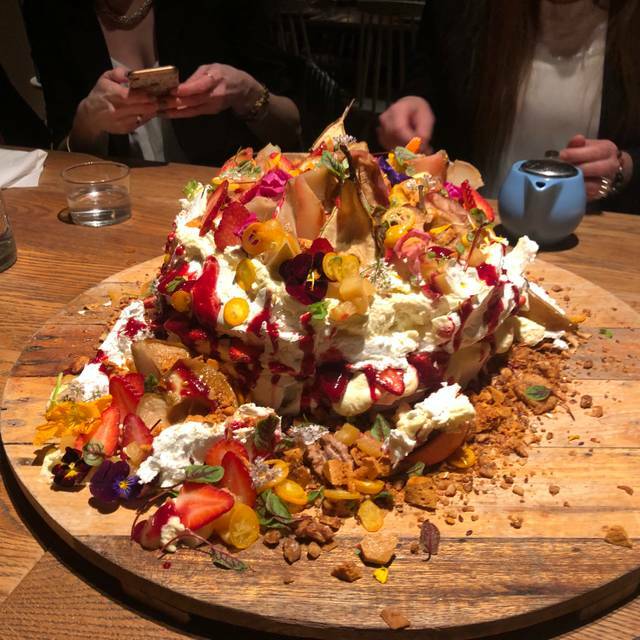 I organised a ladies lunch with my beautiful friends who all love their food and were just as keen to dine here. Once we parked we were pleasantly surprised by the look of the place. A gorgeous, rustic farm like feel. We loved the entrance that was adorned with gorgeous grapevines, very European. We were greeted by a very nice waitress who seated us in the main dining room. The room resembled a barn like feel which was warm and rustic. What was a godsend was how well air-conditioned the place was, a welcome relief from the heat. We perused the menu and were very excited about our choices. We started off with cocktails then progressed to share some selected entrees including the spiced carrot hommus, eggplant and burrata. The standout though was the delicious beef carpaccio. All the entrees were flavoursome and well presented. For our mains I ordered the woodfired cauliflower which I really enjoyed. The shared fat chips were devoured in an instant. My party ordered the garfish, risotto and gnocchi. Nothing was left on our plates which t me is a good indication of satisfaction. Dessert didn't disappoint either with us ordering affogatos, seasonal fruit, peach frangipani tart and apricot macaron ince cream sandwich. All were delicious. Overall I would highly recommend Acre Eatery . I am looking forward to organising breakfast and dinner as well at this gorgeous establishment. Really great food and friendly staff. We were amazed that we were given one of the best seats in the house to celebrate our wedding anniversary. The young lady who served us was very professional and looked after us very well. We were impressed with the décor and the food and drink was of high quality. Even though it was a Friday night Acre was not overcrowded and the noise level was not excessive. All in all a wonderful dining experience. We where a small group of nine people and the food an service was excellent. Had a vegetarian in our midst and he was very happy with his options. The Local ingredients where greatly appreciated. Good atmosphere and great waiting staff. Downside: we got charged 10% gratuity on the drinks. Did not go down well with the members in the group. Understand 10% on the meal - ok. But then again on top of the drinks. Feels like fleecing the client. Great food, fantastic ones and the most efficient and friendliest service one could wish for! Amazing venue and food and service! Will go again.